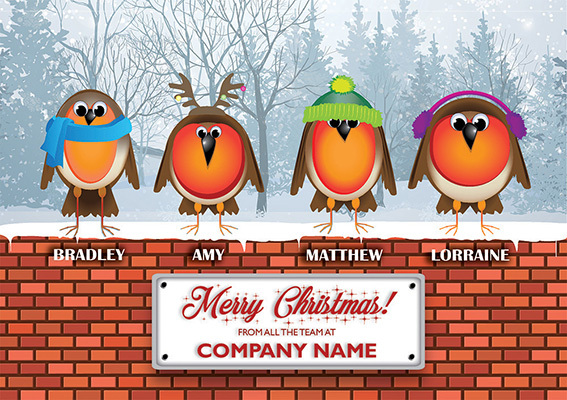 Customise your corporate Christmas Card and turn your team into festive characters with customisable features! 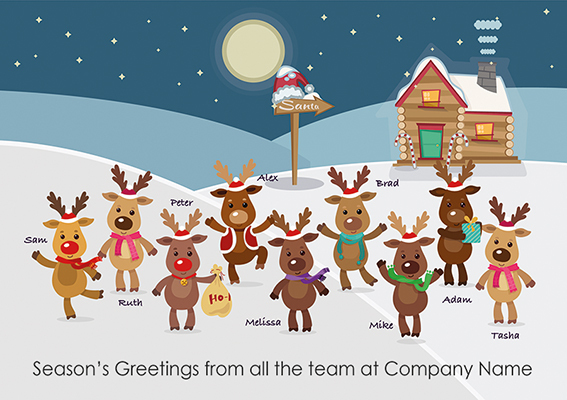 Including adding names, glasses, eyelashes, hats, scarves, ear muffs, novelty items, etc. 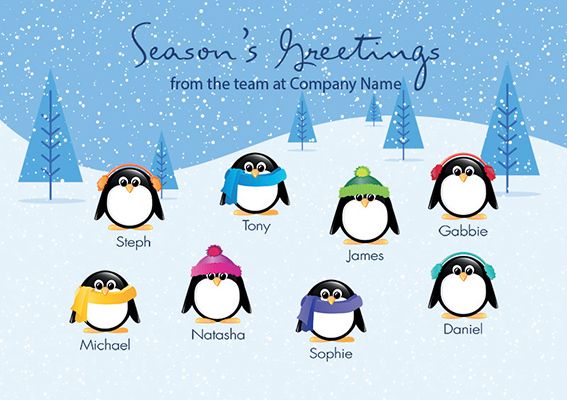 The front personalised team cards fall into Price Band B, meaning that as well as the customisable characters and colleagues names, you can add your company name to the front for no additional cost. Click here to view the full range of cards or request a up to 6 free sample cards to see the designs in person. 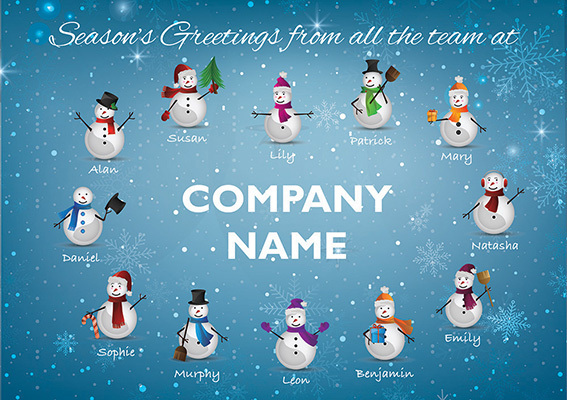 Contact us on 01933 425848 or email sales@festivecollection.co.uk for a quote or help placing your Christmas card order.